Do the Knights That Say Ni want a shrubbery? 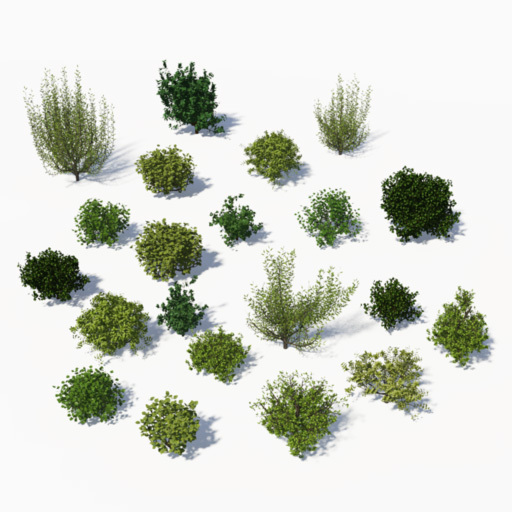 21 generic non species specific bush models in .tgo format ready to use. Seven varieties with three variations of each. There should be enough variety of shape size and colour for most situations where a bush is needed.